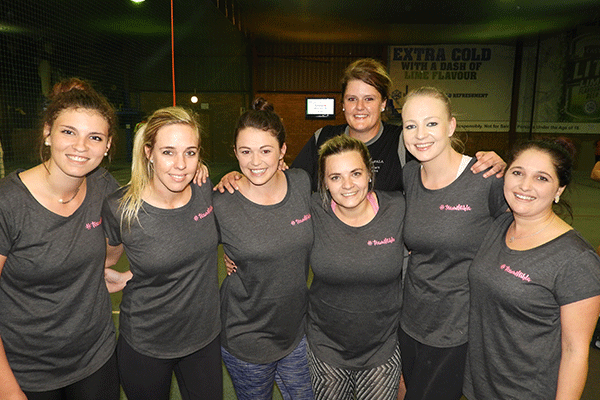 Rustenburg – A group of women heeded the call to support Mihla Engelbrecht by staging a netball and cricket challenge on Friday 1 June, in Rustenburg. Sixteen netball teams and eight cricket teams pitted their skills against each other during the event held at the EPIQ action sports centre. The Queens of Chaos represented #teammihla on the day. Inspired by the little angel, as Mihla is affectionately called, they won all three their games on the netball court. People from all over South Africa are opening their hearts and wallets to raise funds for little Mihla of Rustenburg who was diagnosed with CNS embryonal neoplasm, stage four brain cancer. This rare form of cancer, whose diagnosis has struck Mihla’s parents Rudo and Shani Engelbrecht with devastating shock, is known as neuroblastoma and can only be treated successfully in America. Mihla was diagnosed at age three. Many Samaritans have since then launched fundraising campaigns to champion for this little fighter. Mihla has undergone surgery and had a near total resection of the tumour. Multi-agent chemotherapy was proposed to allow Mihla to be at least five years old before receiving full brain and spinal radiation. Her current protocol ends on 19 December this year. After the chemo, they will be travelling to New Jersey. Mihla’s accommodation is confirmed at the Ronald McDonald Charity house in New Jersey, and all treatments must be paid in full before any work could commence. “Our hearts are full of trust that Mihla will be going to Grade 1 in 2020. We will also continue with our fundraisers and marketing of the Mihla Charity Trust, to give hope to families that must go through similar scenarios. We will do for one what we wish we could do for millions,” Shani said in an interview with the Platinum Weekly. To follow this brave ray of sunshine’s road to hopeful recovery, like her Facebook page: MIHLA TRUST. For more information, contact 079-268 5209 or visit https://www.gofundme.com/princessmihla. Front from left: Isabel Botha, Mariek Fouche, Carol Huyser, Melissa Verwey, Tania Hoffmann, and Ashleigh Wellen. Back: Bernice Kempen.